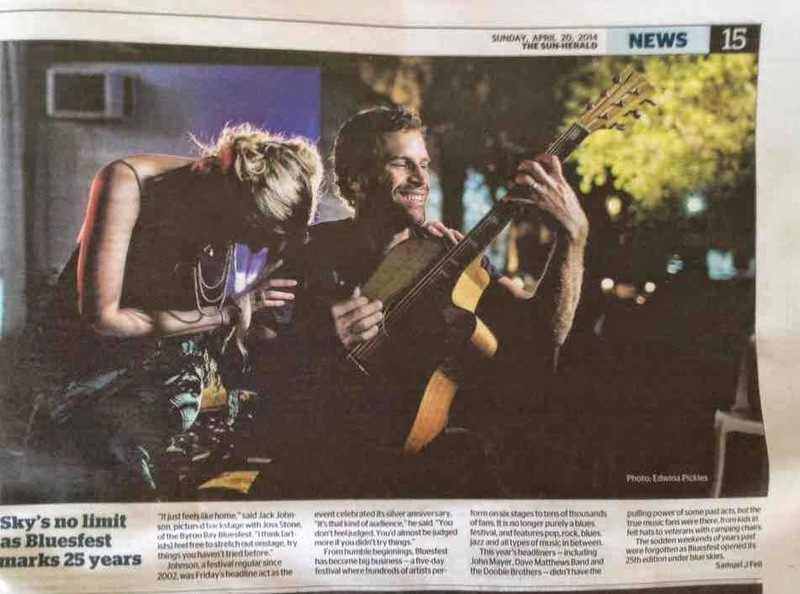 Published in the Arts section of The Sydney Morning Herald, April 22. (Unedited version below). 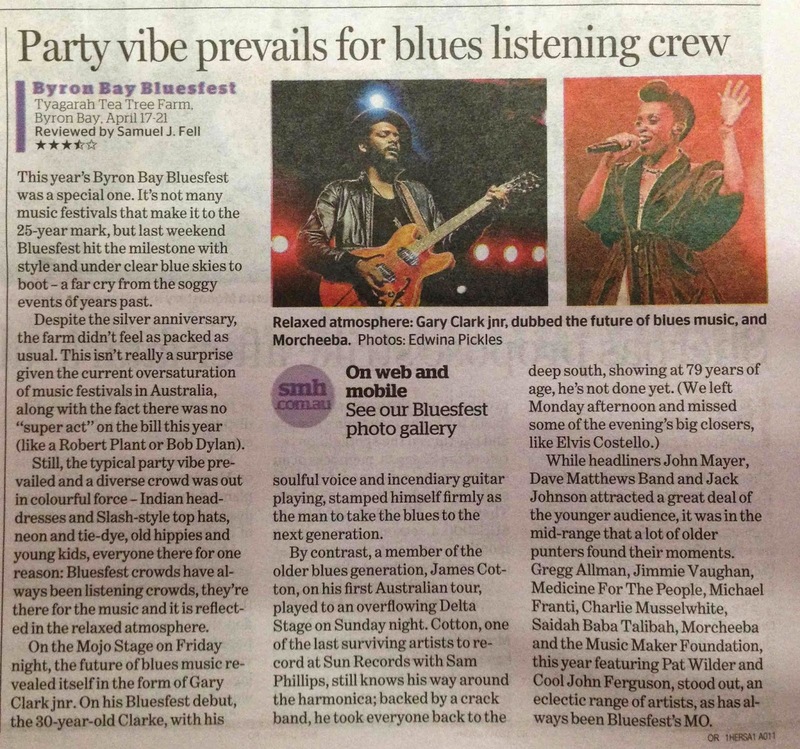 This year’s Byron Bay Bluesfest was a special one. It’s not many music festivals that make it to the 25 year mark, but the weekend just gone, Bluesfest hit the milestone with aplomb, and under clear blue skies to boot – a far cry from soggy events of years past. Despite the silver anniversary however, numbers did seem down on previous years. This isn’t really a surprise given the current oversaturation of music festivals in Australia, along with the fact there was no ‘super act’ on the bill this year (a Robert Plant or Bob Dylan for example, as was the case last year and in 2011 respectively). Regardless, numbers were good, a party vibe prevailing, the usual diverse crowd that descends upon Bluesfest every year out in colourful force – Indian headdresses and Slash-style top hats, neon and tie-dye, old hippies and young kids, everyone there for a common reason; Bluesfest crowds have always been listening crowds, they’re there for the music and it’s reflected in the relaxed atmosphere. On the Mojo Stage on Friday night, the future of blues music revealed itself in the form of Gary Clark Jr. On his Bluesfest debut, the 30-year-old Clarke, with his soulful voice and incendiary guitar playing, stamped himself firmly as the man to take the blues to the next generation. By contrast, a member of the older blues generation, James Cotton, on his first Australian tour, played to an overflowing Delta Stage on Sunday night. 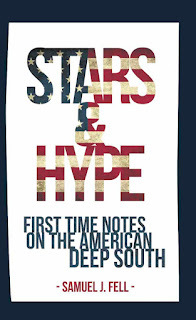 Cotton, one of the last surviving artists to record at Sun Records with Sam Phillips, still knows his way around the harmonica; backed by a crack band, he took everyone back to the deep south, showing at 79 years of age, he’s not done yet. While headliners John Mayer, Dave Matthews Band and Jack Johnson attracted a great deal of the younger audience, it was in the mid-range that a lot of older punters found their moments. Gregg Allman, Jimmie Vaughn, Medicine For The People, Michael Franti, Charlie Musselwhite, Saidah Baba Talibah and the ubiquitous Music Maker Foundation, this year featuring Pat Wilder and Cool John Ferguson, stood out, an eclectic range of artists, as has always been Bluesfest’s MO. Twenty-five years in then, and Bluesfest is alive and well. It’s a festival which has shown a willingness to adapt, as well as take risks, something which has kept it ahead of the curve and allowed it to expand and flourish, this year’s event being testament to that. Published in The Sun-Herald, Sunday April 20. (Unedited version below). A quarter of a century ago, the Byron Bay Bluesfest ran for the first time, out at the old Brewery on the western edge of town. This weekend, as the event celebrates its silver anniversary, the evolution in one of Australia’s most successful music festivals couldn’t be more evident. Coming from humble origins, Bluesfest is now big business; hundreds of artists performing on six stages over five days to tens of thousands of punters out at its now permanent home, the Tyagarah Tea Tree Farm. It’s no longer simply a blues festival either, but one which showcases a myriad styles of music, from pop to rock, blues, jazz and all in between. The 25th incarnation of the event kicked off the Thursday just gone under cloudless blue skies, sodden Easter weekends of years past a distant memory. Numbers seem slightly down this year, perhaps because headliners John Mayer, Dave Matthews Band and The Doobie Brothers don’t have the pulling power exhibited by Robert Plant, Bob Dylan, and Paul Simon over the past few years. Regardless, Bluesfest has still attracted a true music crowd in 2014, from young kids getting about in felt hats and American-Indian headdresses to veterans, camping chairs slung over shoulders; it’s a listening crowd, lovers of the form. At time of writing, Johnson’s set had drawn the biggest crowd of the weekend, all singing along, a true family gathering. For that’s what Bluesfest is, one big, happy, diverse family, one which will no doubt keep meeting annually for the next 25 years. Published in The Big Issue, April 17-May 1. 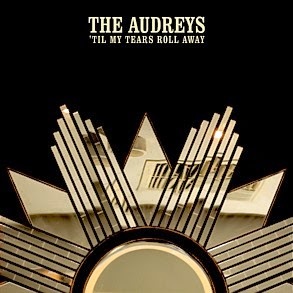 Ten years into a robust and justly rewarded career, The Audreys, with album number four, have struck off down a different path. Whilst still adhering to their country/roots/swing origins, the band have seen fit to muddy the sonic waters, to inject some grit and grime – the gloves are off, the band tough, real, dirty and ready for a fight. 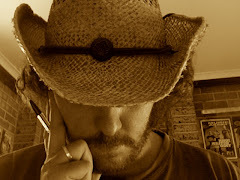 Opener, ‘My Darlin’ Girl’, is the first indication things aren’t as they were, a long and slow bluesy number that rumbles with menacing intent, guitars swirling around Taasha Coates’ sultry-yet-gritty vocal. 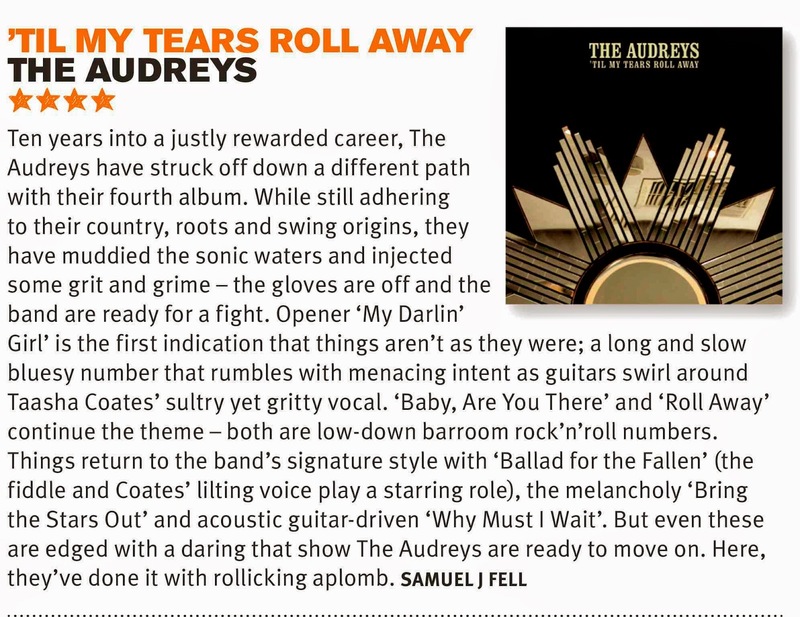 ‘Baby, Are You There’ carries this on, as does ‘Roll Away’, both crunching and angry, real low-down barroom country rock ‘n’ roll. Things return to the style for which the band are known with songs like ‘Ballad For The Fallen’ (fiddle and Coates’ lilting voice playing a large part); the melancholy ‘Bring The Stars Out; and the acoustic guitar driven ‘Why Must I Wait’, but even these are edged with danger and daring, showing The Audreys are ready to move on – here, they’ve done it with rollicking aplomb. Published in the Shortlist section of The Sydney Morning Herald, Friday April 11. 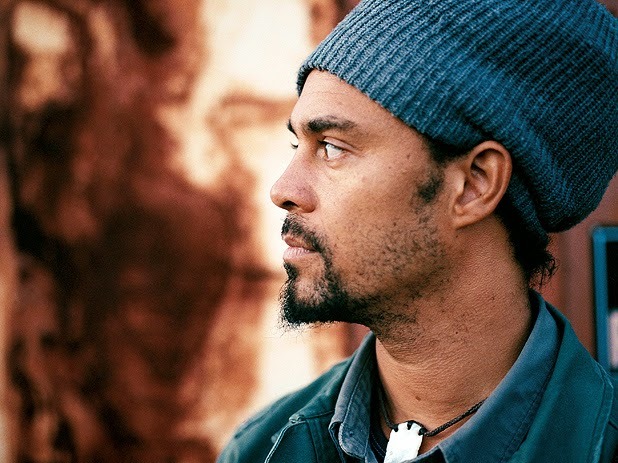 “When I was growing up, I was adopted by a family who looked very different to how I looked, I was a black kid growing up with this white family,” says Michael Franti, explaining how music first changed his life. “In the town that I lived in, a pretty small town, I felt like an outsider. “[But] music would come into my home, and into my ears, and it told me that there was a whole other world out there. Bands like The Clash, The Police, Run DMC, Public Enemy, lots of punk rock bands like the Dead Kennedys, dance music like New Order. Even bands like Midnight Oil and INXS, bands from around the world, were a part of my living room, and reggae too. Music as a way of changing lives is something Michael Franti holds dear to this day, years after those formative listening experiences. 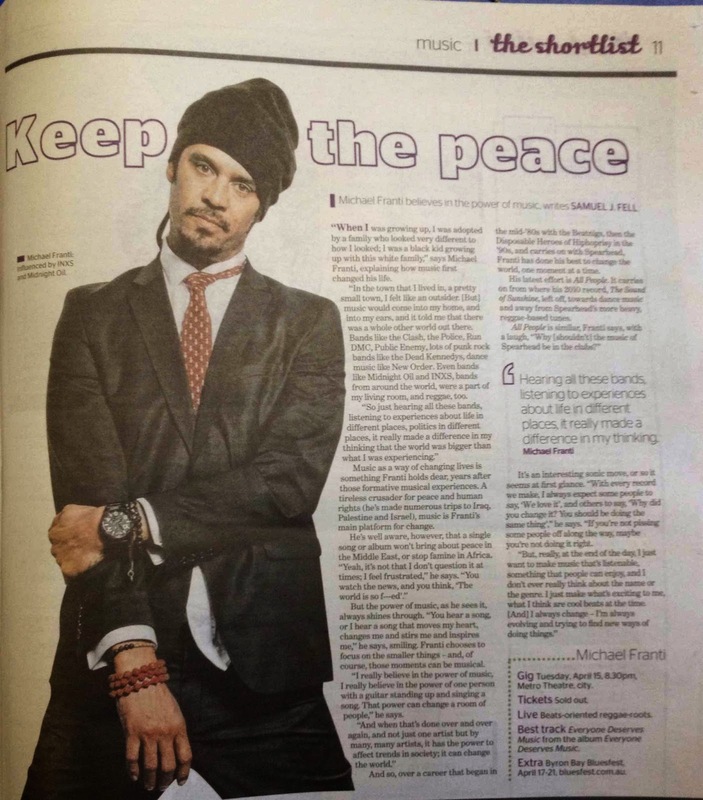 A tireless crusader for peace and human rights (he’s made numerous trips to Iraq, Palestine and Israel), music is Franti’s main platform for affecting change. But the power of music, as he sees it, always shines through. “You hear a song, or I hear a song that moves my heart, changes me and stirs me and inspires me,” he smiles. Franti chooses to focus on the smaller things – he’s been quoted as saying that he believes lives can be changed by moments, and of course, those moments can be musical. And so, over the course of a career which began in the mid-‘80s with The Beatnigs, continued in the early ‘90s with Disposable Heroes and carries on to this day with the all-powerful Spearhead, Franti has done his best to change the world, one moment at a time. It’s an interesting sonic move for the man and the band, or at least it seems like it at a glance. “With every record we make, I always expect some people to say, ‘We love it’, and others to say, ‘Why did you change it? You should be doing the same thing’,” he says. As far as Michael Franti is concerned, All People is a moment in time, a moment that, if it manages to change in some way just one person, then to him, it’s a success. Published in the Shortlist section of The Sydney Morning Herald, Friday April 4. 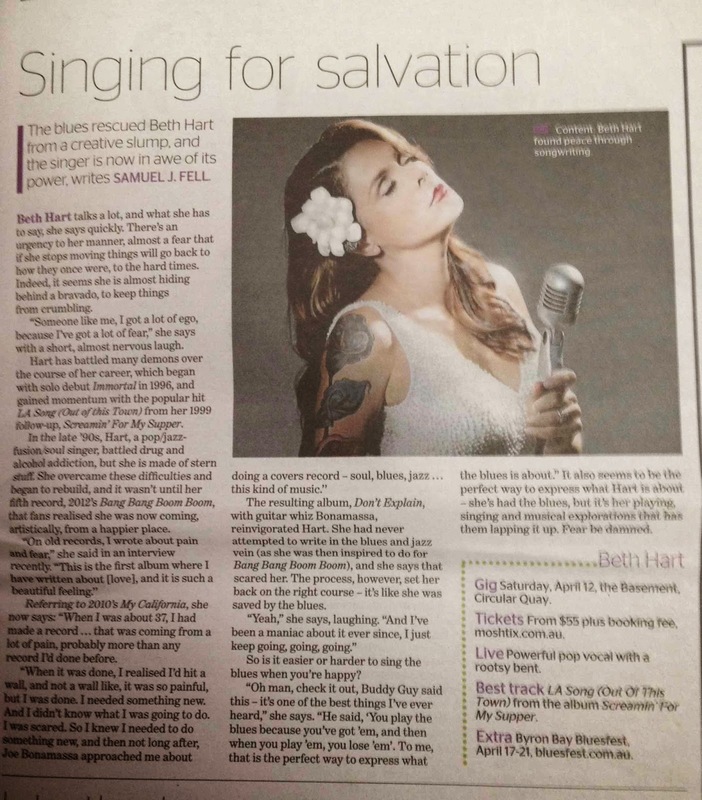 Beth Hart talks a lot, and what she has to say, she says quickly. There’s an urgency to her manner, like if she stops moving, things will go back to how they once were, to the hard times of which she’s had more than her share. Indeed, it seems she’s almost hiding behind an enlarged ego – not an arrogance, but a bravado, to keep things from crumbling down. “Someone like me, I got a lot of ego, because I’ve got a lot of fear,” she admits with a short, almost nervous laugh. Hart has battled many demons over the course of her career, which began with solo debut Immortal in 1996, and gained momentum with the popular hit ‘LA Song (Out Of This Town)’ from her 1999 follow-up, Screamin’ For My Supper. The pop/jazz-fusion/soul singer battled drug and alcohol addiction in the late ‘90s, the aforementioned demons, but Hart is made of stern stuff. She overcame these difficulties and began to rebuild. She’s not one to rest on her laurels though, it’s little wonder she’s still scared. “When I was about thirty-seven, I had made a record… that was coming from a lot of pain, probably more than any record I’d done before,” she says now, referring to 2010’s My California, on how she turned this corner. “When it was done, I realised I’d hit a wall, and not a wall like, it was so painful, but I was done. I needed something new. And I didn’t know what I was going to do. I was scared. The resulting album, Don’t Explain, with guitar whiz Bonamassa, reinvigorated Hart. She says she’d never attempted to write in the blues/jazz vein (as she was then inspired to do for Bang Bang Boom Boom), and that that scared her too, but the whole process lifted her from the bottom, and set her back on the right course – it’s like she was saved by the blues. “Yeah,” she laughs. “And I’ve been a maniac about it ever since, I just keep going, going, going.” So is it easier or harder to sing the blues when you’re happy? “Oh man, check it out, Buddy Guy said this, it’s one of the best things I’ve ever heard,” she beams. “He said, ‘You play the blues because you’ve got ‘em, and then when you play ‘em, you lose ‘em’. To me, that is the perfect way to express what the blues is about.” It also seems to be the perfect way to express what Beth Hart is about – she’s had the blues, but it’s her playing, singing and current musical explorations that has them running for the door. Fear be damned.